Mario & Sonic at the Olympic Games Tokyo 2020 will find the greatest rivals in video game history duking it out once more. Mario and Sonic are heading back to the Olympics once more with a brand new addition to the Mario & Sonic Olympics series. Sega took to Twitter to announce Mario & Sonic at the Olympic Games Tokyo 2020, which is coming to Nintendo Switch as an exclusive this winter, as well as The Official Video Game on PlayStation 4, Xbox One, Nintendo Switch, and PC via Steam next year. There's a whole lot of Olympic excitement going on for the pair, it seems, and you can get right in the middle of it as the Tokyo Olympic Games get underway. Sonic is also getting his own game in the form of Sonic At The Olympic Games Tokyo 2020 on iPhone and Android. After skipping the Winter Olympics last year, gaming's most iconic rivals will be joining forces once more to promote the newest event, which should delight fans. 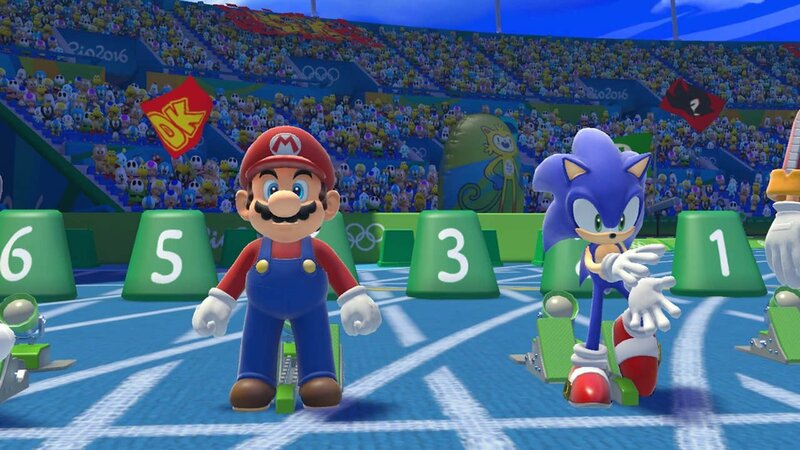 A video posted to the official Sega Twitter account finds Mario and Sonic competing in a wide variety of track and field events as well as other various sports seen in the Olympics. The pair first got together for an Olympic video game 11 years ago in 2008 on the Wii, which ended up selling around 10 million copies – people couldn't get enough of seeing the longtime dueling mascots together in their own game together. We currently don't have as many details as we'd like about the upcoming Olympics title, but it's going to likely be another mashup of minigames, button-mashing fun, and more with a sizeable cast of familiar Mario and Sonic characters becoming Olympic athletes. Get ready for some Olympic-sized fun next year when you can get your hands on the new game.